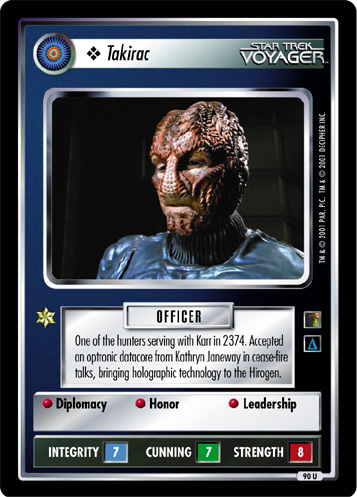 Typical of Hirogen whose first loyalty is to a hunting group. 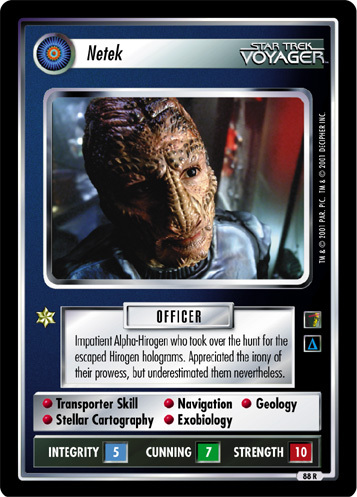 Skilled pilot. 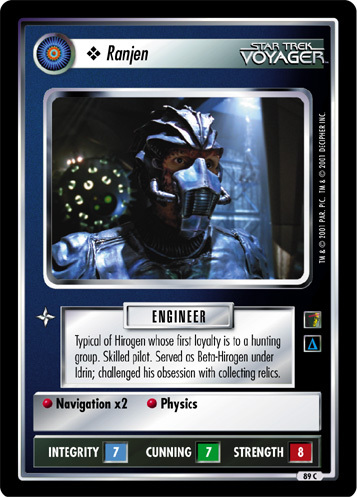 Served as Beta-Hirogen under Idrin; challenged his obsession with collecting relics.